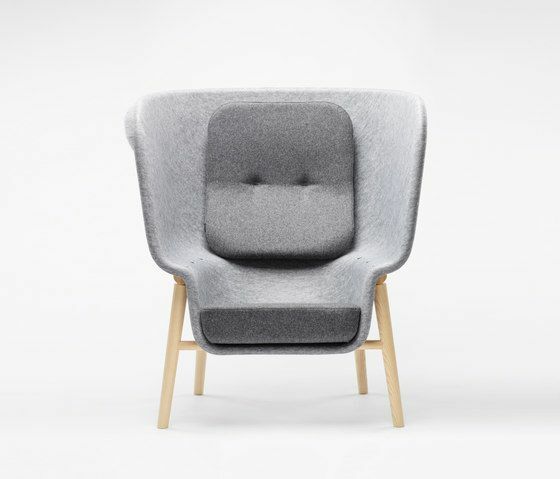 A privacy chair for breakout areas in offices or residential projects. PET Felt has its own characteristic aesthetic as well as sound dampening properties to increase the sensation of privacy within large or crowded spaces. The Pod is winner of the famous Red Dot Design Award.